Golden State Warriors star Stephen Curry just purchased another Bay Area mansion—this time, in Alamo. The town is already home to a few big-name celebrities, so I’m interested in learning more about the specific property he purchased just in time for the holidays. I wonder if he’s planning ahead to host a big crowd? If so, he just might be concerned with the same crucial holiday issue shared by so many families this time of year: laundry. I often hear it repeated by parents that children produce a huge amount of laundry. It feels like you’re never finished – as soon as you’ve washed everything, another pile of dirty t-shirts mysteriously appears. Kids can create quite a mess any time of year, but many parents in Lafayette find that the summer months are the worst. All the sports league and summer camp options mean kids spend a lot more time playing outside, with plenty of opportunities for stained clothing. 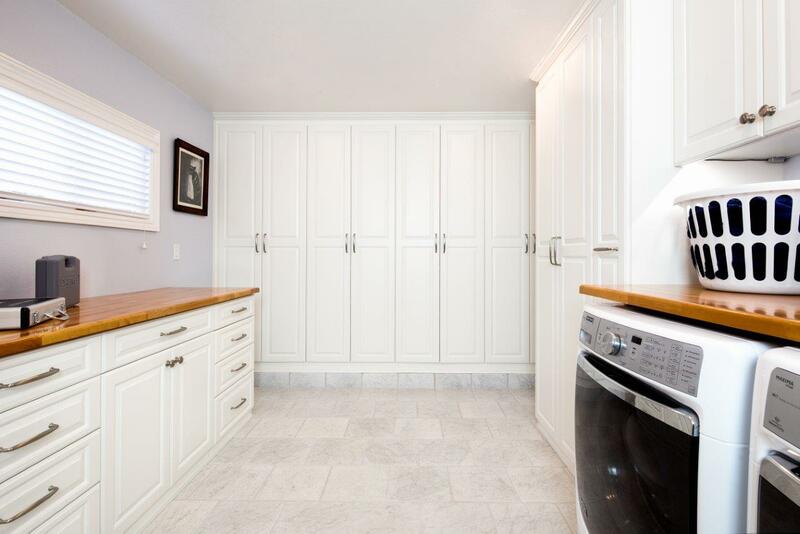 Deborah and John's laundry room is right off of their family room, and the door is open most of the time. They were ready for a face lift for this visible room, to not only dress up their old cabinets, but to gain functionality, as well. Larry Fox, the owner of Valet as well as one of our designers, took a tired looking room and made it fresh and clean again! 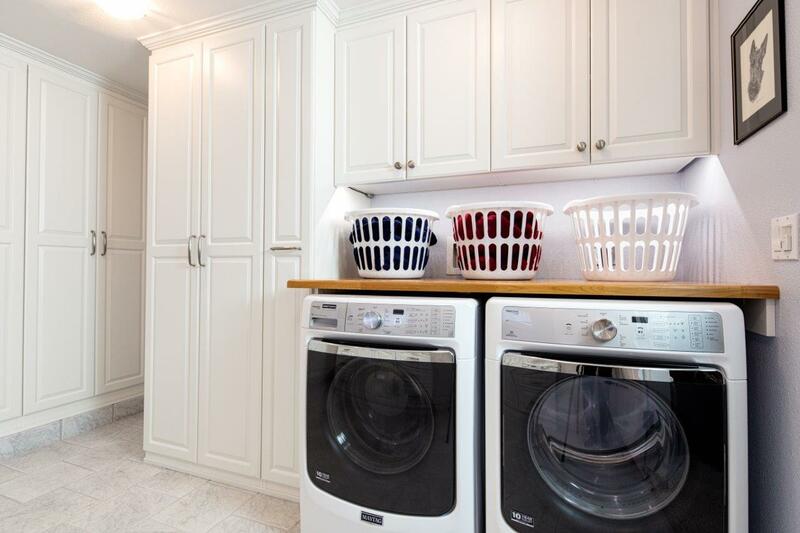 3 Steps to an Organized Laundry Room! 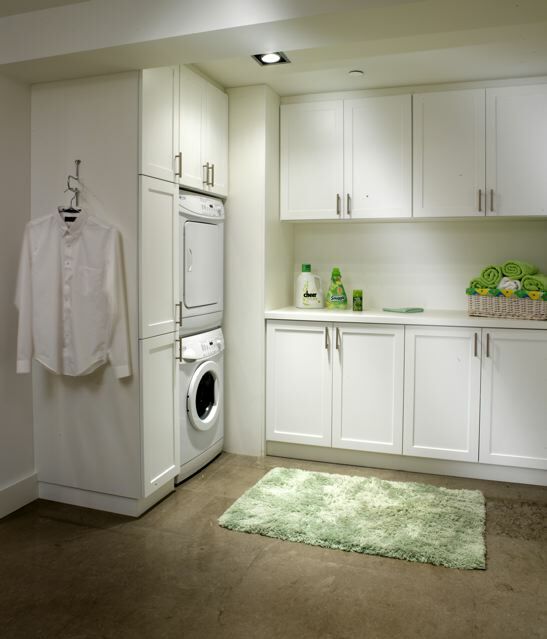 This article from HGTV explains the best ways to have a organized laundry room!